Aeroplane crash in Queen Charlotte Sound. Description Aeroplane crash in Queen Charlotte Sound. The plane is a DH609 Gypsy Moth, registration number ZK-AAA. 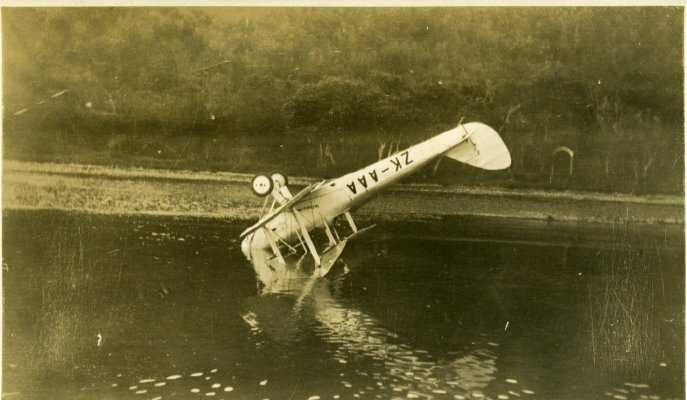 Title Aeroplane crash in Queen Charlotte Sound.